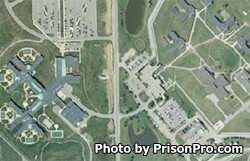 Women's Huron Valley Correctional Facility is located in Ypsilanti Michigan, part of Washtenaw County. It is a mixed custody facility that houses 2,123 level I, level II, and level IV adult female inmates. It is the only prison in the state that houses female offenders, and is responsible for the reception and processing of all females who are incarcerated in Michigan. Inmates are secured by two fences armed with electronic detection systems, surveillance cameras, and an armed perimeter patrol. All inmates are offered adult basic education and GED courses. In addition, life skills classes and vocational training in automotive repair, horticulture, business educations, custodial maintenance, culinary arts and various construction disciplines are taught. Offenders have access to medical and dental treatment on site, and inmates with children or who are pregnant can receive counseling/parenting classes.